The Diztronic Ultra Series is slightly thicker than the "normal" variant. These cases are really shock-proof. 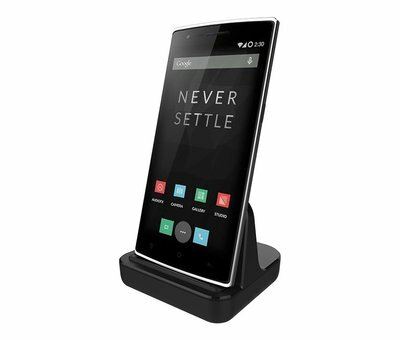 Due to the strengthened corners, your OnePlus One can now stand a bit. Diztronic is a brand designed in America. These cases are of the highest quality and are exclusively available to us. The case fits perfectly around the OnePlus One and is designed to protect the entire OnePlus. Produced from wear-resistant TPU material with a matte finish that scratches scratches and greasy fingers. The upside down allows you to easily place the OnePlus One on this table with this Diztronic case without damaging it. Easy to install and remove and definitely a lot of value for money. The Diztronic Ultra Series for the OnePlus One has a thicker edge on the corners and is generally thicker. This gives the OnePlus even better protection, all the way around when it's angled. Due to the TPU material, the case is flexible and strong but at the same time soft enough to absorb bumps and any fallouts. All recesses for the gates are present and the buttons are neatly covered for additional protection. Made of durable, flexible TPU material. Full matte finish resistant to fingerprints. Reinforced corners and slightly thicker body for maximum protection against falling. 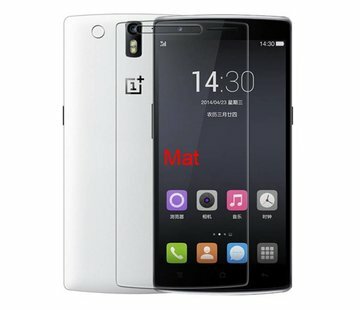 Lay-down design helps protect the screen from damage when placed down. Precise recesses give full access to all ports. Designed in Madison, WI USA. Erg goed en handig in gebruik. Mooie uitstraling. Een prima backcover. Heb de rode gekocht. Was snel geleverd, uitstekend verpakt. De cover past perfect om de One Plus One. Openingen perfect op juiste plaats en geluid/aan-uitknop goed beschermd. De hoeken zijn iets dikker voor extra bescherming. Mooie kwaliteit, soft grip en gewoon afwasbaar. Je ziet er overigens niet eens vingerafdruk op. Heb gelijk een clear case besteld omdat ik graag afwissel. Supersnelle en goede service! !